This wine is on sale as of May 2019. The Single Vineyard Pössnitzberg is predestined as a great white wine terroir. Due to the interaction of the soil structure and of the climatic factors this single vineyard is unique. These Chardonnay wines are very authentic. 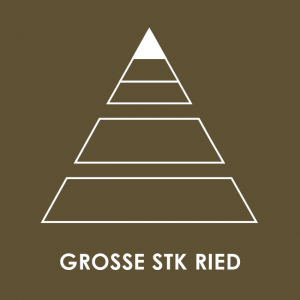 Our wines from Pössnitzberg, classified as “Große STK Ried” (Grand Cru STK), are delicately mineral, very salty on the palate and show a tight structure and high ageing potential. The harvest yield is limited to a maximum of 45 hectolitres. Grand Cru STK wines are allowed to be offered for sale at the earliest on the 1st of May after 18 months of maturation. Steepness and extremely chalky soils account for grand, deep terroir wines - laborious and intensive manual work provided. The Single Vineyard Pössnitzberg is the most southern single vineyard in Styria and is very important for our winery. In the fifties our grandfather Johann Sabathi recognised the potential of the site Pössnitzberg and acquired the first core of this precious vineyard. This extremely steep and rocky single vineyard benefits from partly very old vines and deep roots. Due to an inclination of 75% this vineyard needs to be cultivated almost by hand. Warm winds coming up from Slovenian valleys meet cool air streams from the Koralpe Mountains in the west. These extreme temperature differences cause a spicy and multi-faceted aroma spectrum.